Being locked out your car is one of the most annoying things to encounter when you’re in a hurry, left stuff inside the car or if your little one is there. 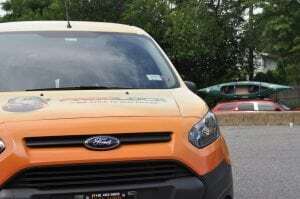 Customers call up Frog Lock Locksmith to unlock cars Manhasset. So whenever they’re locked out the car but have to go somewhere immediately, we deploy the best locksmith in Manhasset to open cars. However, some people in Flower Hill or Munsey Park try prying open their car door during a lock out. Some even try using different methods to get their car door opened. But there is more danger than help to doing it. In fact, trying even simple methods is the last thing to do, especially if you’re unfamiliar with lock picking. You can damage your door and make it difficult for a locksmith to open the car door when help arrives. Getting help from a Plandome Manor and Plandome Heights locksmith is what to consider because they can open the car door in no time with their experience in opening any auto lock in Manhasset. In addition, hiring a professional locksmith also prevents car damage because they use the right tools in unlocking car doors in the Village of Plandome or Munsey Park Village. Affordable service is another benefit from a professional locksmith, unlike common belief that it’s costly. At Frog Lock locksmith, we stick with our prices! No hidden charges will ever be charged to you. Hiring us to open a car door is the best option. In fact, customers in this area, including those in the Manhasset LIRR Station get us for lower prices than competitors. Customers in North Hills also call us for fast and prompt unlock car door service. We can get to your location within minutes to get you out the frustrating situation. With us, Plandome Road customers and others in the area don’t get their car towed and brought to a repair shop to open the car door. So if you’re looking for immediate, guaranteed and precise unlock car door service, don’t hesitate in calling Frog Lock. We service the entire Manhasset area, including Americana Manhasset Mall and Northern Boulevard, among others. Pick up the phone and call (516) 263-7770 or follow us on Facebook today!